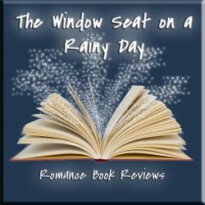 Because there is nothing better than a good book and a comfy nook on a rainy day! This is a tough one to judge. On the one hand, Andersen is a great writer and the Nightkeepers are a compelling group. The book was a good book. However, on the other hand, this book didn't live up to my expectations. And in those terms, it was a disappointment. Rabbit is the wild card mage in the group known as the Nightkeepers. He is prophesied to be the "cross over", but no one has a clue what that means. Rabbit is the son of the last surviving Nightkeeper and a mysterious woman and he commands both the light Nightkeeper magic and the dark magic of their enemies. But what effect this ability will have and what hope it will have for the people tasked with saving the world at the end date is any body's guess.